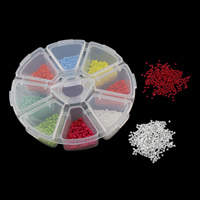 - Ceramic glass seed beads are fashionable and glazed. They are made up of glass but look like porcelain after the craft finished. So we call it ceramic glass beads. They are small but cute. You can use these versatile glass seed beads for jewelry design. 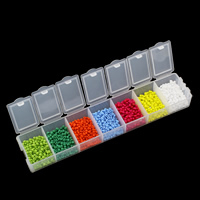 As the leading beads wholesaler in China, we offer different colors including green, blue, red and much more at the competitive wholesale price.